the question seems to be very easy - but for me it is not very easy. When I want to use GITHUB, then all Directorys have to be under Projektdirektory. I have marked th htdocs as Recource-Root. So links like <img src='/picInhtcods'> will work. When I press ALT-F2 (see that page in Chrom-Browser), PHPStorm tryes to call the URL http://test.cusp.de/htdocs/index.php - But that is wrong it should be http://test.cusp.de/index.php. 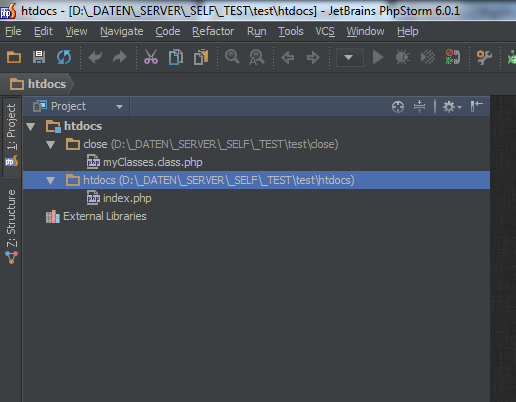 So how to set up a php - project in phpstorm?